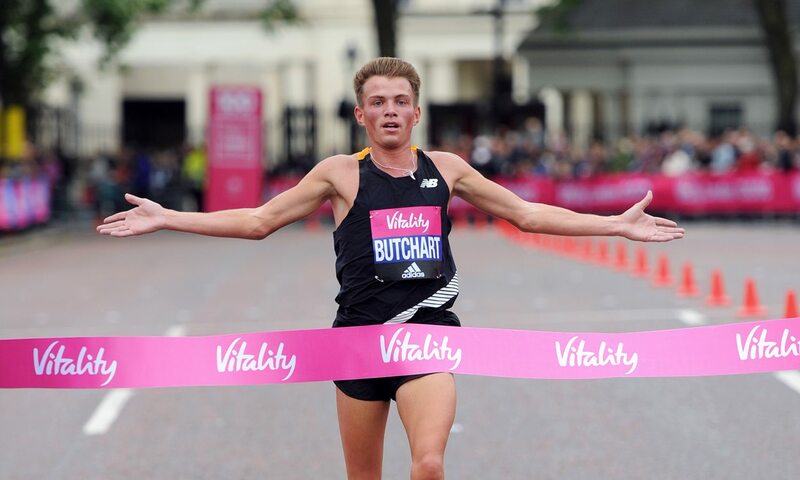 Andrew Butchart is set to return to the streets of London in May to race in the Vitality Westminster Mile the day before defending the Vitality London 10,000 title he won last year at the start of an unforgettable season. Attributing his breakthrough to a bold move the previous winter, Butchart said: “I wanted to go on a training camp with some other elite athletes in November 2015. I asked my boss to get time off and she wouldn’t give it to me, so I just left. From then I got picked up by a sponsor and started going for it 100 per cent. “For athletes in a similar position, they need to step up to the plate. Up and coming athletes need to believe in themselves and have the faith they can make the jump to the big time. On his Rio experience, he added: “It was my first ever major meet so I had never experienced it and I think that was an advantage against the others because I didn’t think too much about it. I wasn’t worrying that I was in an Olympic final. I just thought ‘I’m in the final, I can only do what I can do’, so I was relaxed and when you relax in this sport it helps a lot. Butchart took more than four seconds off his 5000m PB in Rio with a Scottish record 13:08.61, a time which moved him from 10th to third on the UK all-time list. The 25-year-old continued to break records over the winter, including the Scottish 3000m and two-mile marks. Currently training in Flagstaff, Arizona, Butchart’s Vitality London 10,000 defence on May 29 will be his first appearance in Europe this year. “There’s nothing like running through London,” he said. “The Vitality London 10,000 and Vitality Westminster Mile are different to any sort of city run I’ve ever done and any race that exists, apart from the London Marathon.